Fowler, NY (October 4, 2018) – The tragic death of 40-year-old Brendan DeMasters, of North Royalton, Ohio, which occurred on Tuesday afternoon, October 2, was confirmed today to have been caused by a broken neck. DeMasters was killed at the Empire State Mine during a workplace accident at around 11:00 a.m. According to officials, DeMasters was working in the zinc mine, clearing rock with an air tool when an explosion occurred. Emergency crews immediately transported DeMasters to Gouverneur Hospital where he sadly died of his injuries approximately 90 minutes later. This is the second time in less than a year that a serious accident has occurred since the mine reopened. DeMasters was confirmed as the father of two children, ages 12 and 15. We would first and foremost, above all else, like to extend our deepest condolences to the children and other loved ones of Brendan DeMasters during this tragic and devastating time. 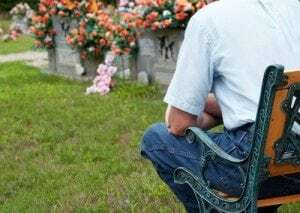 There is absolutely nothing as overwhelming as the sudden loss of a loved one, particularly when death occurs due to an accident that could have been avoided. At this time, it is imperative to understand that the loved ones of the victim have the right to be compensated to the maximum amount possible. No family member of any victim should have to pay for the negligence of another person, corporation, or other entity. A New York fire and explosion can certainly have devastating results, and a compassionate and competent New York accident attorney can dramatically ease the process moving forward. We here at Hach & Rose understand the immense heartache and stress that can follow the loss of a loved one, and we are solely dedicated to helping victims and their families recover. If you have lost a loved one in a New York accident, please don’t hesitate to call 212-779-0057.